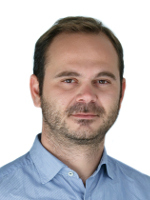 Dr Petros Daras is a Principal Researcher Grade A’, at the Information Technologies Institute (ITI) of the Centre for Research and Technology Hellas (CERTH). He has been working as a Researcher since July 2006 and he has been involved in more than 30 projects, funded by the EC and the Greek Ministry of Research and Technology. His main research interests include multimedia processing, multimedia & multimodal search engines, 3D reconstruction from multiple sensors, dynamic mesh coding, medical image processing and bioinformatics. He has co-authored more than 40 papers in refereed journals, 29 book chapters and more than 100 papers in international conferences. He has served as a regular reviewer for a number of international journals and conferences. He was the chair of the IEEE Interest Group (IG) on Image, Video and Mesh Coding (2012-2014) – http://committees.comsoc.org/mmc/IG/IMVIMECIG.asp and key member of the ΙΕΕΕ IG on 3D Rendering, Processing and Communications (2010 – ) –http://committees.comsoc.org/mmc/IG/3DRPCIG.asp. He regularly acts as a reviewer/evaluator for the EC. He is the head of the Visual Computing Lab. Nikos Grammalidis is a senior researcher (Grade B) in the Informatics and Telematics Institute of the Center of Research and Technology Hellas,. His research interests include:Image and Image Sequence Analysis, Computer Vision (with emphasis in Traffic Monitoring and Surveillance Applications), Multi-view Image Sequence Analysis and Coding Dr. Grammalidis has co-authored more than 20 articles in scientific journals and more than 60 papers in international conferences. Snce 1992 he been involved in more than 10 European projects, funded by the EC and the Greek Ministry of Research and Technology. He has served as a regular reviewer for many international journals and conferences. Previously, he worked as a researcher in the Information Processing Laboratory, School of Electrical and Computer Engineering, Aristotle University of Thessaloniki. 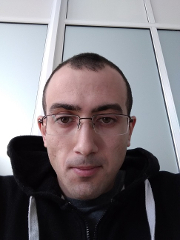 Dimitrios Zarpalas has joined the Information Technologies Institute in 2007, and is currently working as a post-doctoral Research Associate. His current research interests include real time tele-immersion applications (3D reconstruction of moving humans and their compression), 3D computer vision, 3D medical image processing, shape analysis of anatomical structures, 3D object recognition, motion capturing and evaluation, while in the past has also worked in indexing, search and retrieval and classification of 3D objects and 3D model watermarking. His involvement with those research areas has led to the co-authoring of 3 book chapter, 1 articles in refereed journals and 42 papers in international conferences. He has been involved in more than 10 research projects funded by EC, and Greek Secretariat of Research and Technology. He is a member of the Technical Chamber of Greece. Apostolos Axenopoulos works as an Associate Researcher at the Information Technologies Institute (CERTH/ITI), since November 2003. He has participated in more than 10 projects, funded by the EC and the Greek Ministry of Research and Technology. His main research interests include 3D object indexing, content-based search and retrieval, multimedia applications and bioinformatics. He has published more than 30 papers in refereed journals, book chapters and international conferences, and he is a reviewer for several journals and conferences. He is also a Member IEEE. 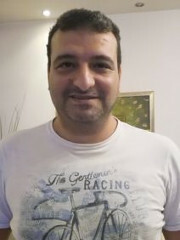 Kosmas Dimitropoulos received his B.Sc degree in Electrical and Computer Engineering from Democritus University and his Ph.D. degree in Applied Informatics from Macedonia University of Thessaloniki in 2001 and 2007 respectively. 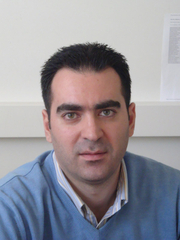 He is a postdoctoral research fellow with the Informatics and Telematics Institute, Centre for Research and Technology Hellas and a visiting professor (lecturer) at Macedonia University. He has participated in numerous national and EC funded research projects e.g. INTERVUSE, ISMAEL, TRAVIS, FIRESENSE etc. 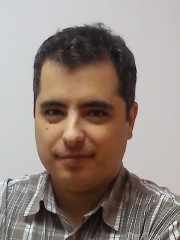 His main research interests include computer vision, computer graphics and virtual reality, 3D motion estimation, intelligent transportation systems, 3D reconstruction from stereo images and 3DTV.His involvement with those research areas has led to the co-authoring of more than 40 articles in refereed journals, book chapters and international conferences. 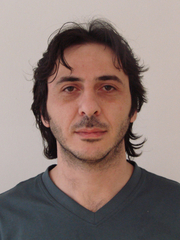 Theodoros Semertzidis works at the Informatics and Telematics Institute of the Centre for Research and Technology Hellas, as a research associate, since April 2006. His research interests cover areas of distributed systems, embedded systems, Internet applications, databases as well as web2.0 applications and social networks. Dr. Georgios Th. 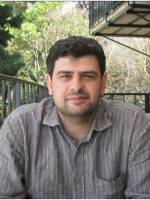 Papadopoulos has been working as a senior researcher at the Information Technologies Institute (ITI) of the Centre for Research and Technology Hellas (CERTH) since December 2005. His main research interests include computer vision, deep learning, pattern recognition, machine learning, semantic multimedia analysis, 3D information processing, image/video processing and multimodal analysis. 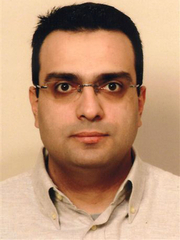 He is a member of the IEEE and the Technical Chamber of Greece. Dr. Nicholas Vretos obtaiend the degree of BSc in Computer Science from the University Pierre et Marie Currie (Paris VI) in 2002 and his Ph.D. from the Aristotle University of Thessaloniki in 2012. During elaboration of his thesis, he taught as assistant and worked as a research assistant in Artificial Intelligence and Information Analysis Laboratory. He has worked in 10 European projects as Technical Manager/ WP Leader/researcher. He has published more than 40 articles in scientific journals and conference proceedings and a book chapter. He is a member of the IEEE and has committed as a reviewer for several journals and conferences in the field of image and video processing. His main interests are in image and video processing, semantic analysis, neural networks and 3-D data processing. Dr. Alex Papadimitriou is a Postdoctoral Researcher at the Information Technologies Institute (CERTH/ITI) and an IT expert. 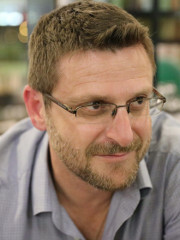 He holds a BSc in Computer Science from University of Sussex (UK), an MSc in Distributed Systems (University of Brighton, Brighton, UK) and a PhD in Informatics from Aristotle University of Thessaloniki. He has worked as a developer and IT administrator and has a very good knowledge of a very wide IT toolbox including Java, (X)HTML, XML, PHP, C/C++/C#, Visual Studio, MS Project, UML, ASP.NET. For the past 5 years he has also been actively involved in European projects executed under the FP7 and Horizon 2020 frameworks in a variety of roles, such as project manager, developer and researcher. Dimitrios Konstantinidis received the Bachelor degree in Electrical and Electronic Engineering from AUTH in 2009. He then received an Advanced Master degree in Artificial Intelligence from KU Leuven in 2012 and a PhD from the Imperial College of London with the topic of monitoring urban changes from satellite images in 2017. He is working at ITI-CERTH as a research assistant since January 2013. His research interests lie in the fields of computer vision, image processing, machine learning and artificial intelligence. Konstantinos Konstantoudakis received his diploma in Electrical and Computer Engineering from the Aristotle University of Thessaloniki in 2004. 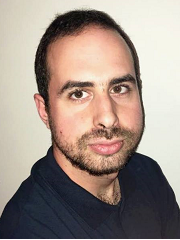 In 2005 he was awarded the degree of MSc with distinction in Digital Signal Processing from King’s College London, and in 2018 he completed his PhD at the Aristotle University of Thessaloniki, on the subject of “Accurate motion estimation and super-resolution techniques for digital images and video”. He has worked as a software engineer and researcher. Since 2018 he works at the Information Technologies Institute of CERTH. His research interests include motion estimation, super-resolution, and image compression and encoding. 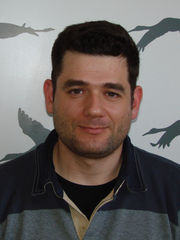 Vassilis Solachidis joined Information Technologies Institute in September 2013 as post-doctoral research fellow. 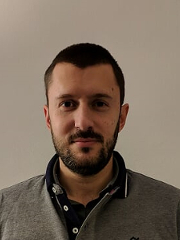 He has worked as researcher in sixteen (16) European and national research projects in the Informatics Department of Aristotle University of Thessaloniki, Information Technologies Institute and the Applied Electronics department of Università degli Studi Roma TRE. He has also served as an adjunct lecturer at the Aristotle University of Thessaloniki, the University of Western Macedonia and at the Technological Institutes of Thessaloniki, Kavala, Serres and Western Macedonia. 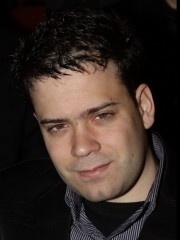 His research interests focus in technologies of image and video analysis, and multimedia watermarking. He has eight (8) papers in international scientific peer review journals and thirty five (35) papers in international and national conferences. Stylianos Mylonas received his Diploma and Ph.D. degree in Electrical & Computer Engineering from the Aristotle University of Thessaloniki (AUTH), Greece, in 2009 and 2015, respectively. His doctoral thesis focused on the application of computational intelligence methods in classification and segmentation of remote sensing images. Since January 2017, he is working as a postdoctoral research associate at the Informatics and Telematics Institute (ITI). His research interests include fuzzy logic, evolutionary algorithms, deep learning, image segmentation and remote sensing. 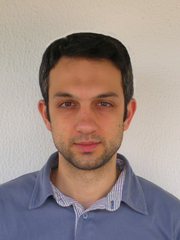 Dimitris Katsikas has joined the Information Technologies Institute in 2016. He holds a diploma in Electrical & Computer Engineering and an MSc degree in Information Systems. His current domains of interest and research include Internet of Things, deep learning, web and mobile cross platform applications, cloud services and IT security. Since 1999, he has participated in numerous IT projects involving the design, the management and the deployment of large scale information systems funded by the EC, the Greek Government and the private sector across Europe. He is a member of the Technical Chamber of Greece since 2000. Alexandros Doumanoglou obtained his university degree from the Electrical & Computer Engineering department of Aristotle University of Thessaloniki in 2009. His thesis was about the study and construction of a passive acoustic radar. He has work experience in digital signal processing in real time speech recognition applications. He is interested in 3D Graphics and particularly 3D render engines. He has professionally developed a CAD software. He has solid experience in solving difficult algorithmic problems as the ones that appear in International Computing Olympiads. 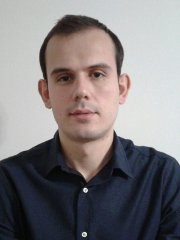 He has been working in the Informatics and Telematics Institute since April 2012. His research interests include computer vision, pattern recognition, 3D reconstruction, image recognition, 3D Graphics and GPGPU computing. Lazaros Gymnopoulos was born in Thessaloniki, Greece in 1975. His main research interests include Information Systems Security, Network Security and Critical Infrastructures Security. Ηis involvement with those research areas has led to the co-authoring of 3 articles in refereed journals and 7 papers in international conferences with at least 61 citations. Since 2002 he has been involved in more than 20 R&D projects and studies – mainly in the areas of Information Systems Security and Critical Infrastructures Security – that have been funded by the EU/EC, the Greek government or the private sector. In 2009 he held the position of Quality and Compliance Officer of ADACOM S.A., which is the leading Certification Service provider in Southeast Europe. Since 2010 he is cooperating with CERTH-ITI as a Research Assistant. He is a member of the Technical Chamber of Greece. 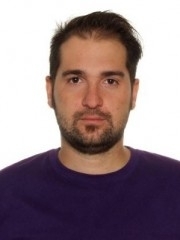 Michalis Lazaridis studied Informatics at the RWTH Aachen University and works since October 2006 as a research associate in the Information Technologies Institute (ITI) of the Centre for Research & Technology Hellas (CERTH). His research interests cover big data processing architectures, distributed systems and multimedia search applications. In the past, he worked in the IT service management department of the consulting company ComConsult Kommunikationstechnik GmbH in Aachen for the banking and insurance sector, as well as in the R&D department of the informatics, automation & robotic applications company Inos Hellas S.A. in Athens for the automotive industry. Dorothea Tsatsou is a research associate at the Information Technologies Institute at CERTH (CERTH-ITI) since 2007, where she has been involved, on research and management, in multiple European Research Projects. Her main research interests include knowledge retrieval and representation, semantic reasoning, semantic knowledge/ontology engineering, personalization and recommendation. Konstantinos Stavridis received his Master’s degree in Information Systems at University of Macedonia (2013), and his Diploma degree from Department of Electronic and Computer Engineering at the Technical University of Crete (2000). His master’s thesis focuses on adaptive peer assessment. He has professionally worked as an IT instructor in secondary and vocational education for fifteen years, having launched several innovative educational projects in IT and custom educational Robotics with his students. 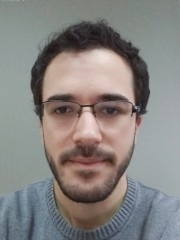 Since May of 2017, he is a PhD candidate researching the field entitled “Opinion mining with the use of dynamic knowledge discovery and representation”. His main research interests include opinion mining, natural language processing, computer vision, deep learning, transfer learning, zero-shot classification, fusing external knowledge in deep learning architectures. 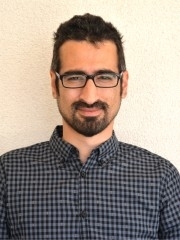 As of July 2018, he works as a research associate in the Informatics and Telematics Institute of the Centre for Research and Technology – Hellas. I completed my studies at the National Technical University of Athens (NTUA), Electrical and Computer Engineering with specialization in Computer Vision. I was co-founder of a video game development company, SDS Game Studios (SDS). In November of 2012, I joined the Information Technologies Institute (ITI) and, since then, I have been working as a Research Associate. I’m currently working on human motion capture methods and technologies using depth sensors, Wireless Inertial Measurement Units, RGB-cameras and more, while, I am studying for a PhD in Computer Science at NTUA, focused on novel methods of 3D motion capturing and evaluation. Anastasios Dimou graduated from Aristotle University of Thessaloniki as an Electrical and Computer Engineer (Dipl.) and was awarded a Professional Doctorate in Engineering (PDEng) in Information and Communication Technology at the Technical University of Eindhoven, the Netherlands. From February 2008 he is working as a Research Associate in the Informatics and Telematics Institute (ITI) of the Centre for Research and Technology – Hellas (CERTH). His research interests are covering image and video processing and analysis, semantic web technology, video coding and broadcasting, High Definition systems and biomedical applications. Telecommunications and Networks from University of Thessaly from the same Department in 2015. My diploma thesis was about the acceleration and parallelization of an algorithm for mechanical engineering applications with finite elements. My master thesis was about voice activity detection using audio, video and depth information from web cameras and Microsoft Kinect. My research interests include digital signal processing, computer vision, image and video processing. I have been working in the Informatics and Telematics Institute since January 2015. Diploma in Electrical and Computer Engineering (2017). Athanasios Kalvourtzis received his diploma from the Department of Electrical and Computer Engineering of Aristotle University of Thessaloniki in November 2017. 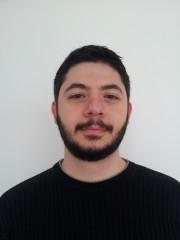 Since May 2018, he has been working as a research assistant at Informatics and Telematics Institute (ITI) of the Centre for Research and Technology Hellas (CERTH). He is mainly interested in web development, computer vision and graphics. Diploma in Electrical and Computer Engineering (5 year degree). Gerasimos obtained his university degree from the Electrical & Computer Engineering department of the National Technical University of Athens. He has a publication in an artificial intelligence conference and one in a classical physics journal. 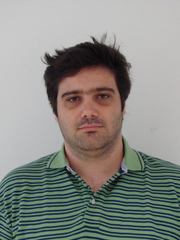 Since April 2018 he has been working as a research associate in the Information Technologies Institute (ITI) of the Centre for Research and Technology Hellas (CERTH). His research interests include deep learning, visual analytics, statistics, data science and algorithmic game theory. 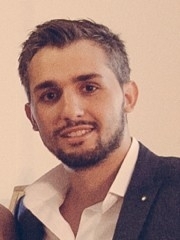 Ioannis Maniadis-Metaxas received his Diploma in Electrical and Computer Engineering from Aristotle University of Thessaloniki in 2018. Since January 2019 has been working as Research Assistant at the Information Technologies Institute (ITI / CERTH). His research interests include Artificial Intelligence and Machine Learning. Diploma in Electrical Engineering (2012-2017). Master in Biomedical Engineering (2017-2019). 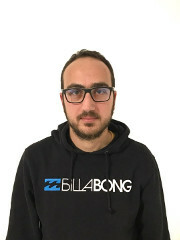 Adaloglou Nikolaos obtained his diploma from the Electrical and Computer Engineering Department of University of Patras in 2017 and his Master in Biomedical Engineering in 2019. Since April 2018, he has been working as a research assistant at the Informatics and Telematics Institute (ITI) of the Centre for Research and Technology (CERTH). His research interests include machine learning, deep learning, medical imaging and computer vision. Papaioannou Periklis received his Diploma in Electrical and Computer Engineering from the Faculty of Engineering of Aristotle University of Thessaloniki in July 2013. He then obtained his Master in Medical Informatics from Aristotle University of Thessaloniki in July 2017. In October 2018, he started working as a research assistant at the Information Technologies Institute (ITI) of the Center for Research and Technological Development (CERTH). His research interests include image processing, machine learning and biomedical applications. Gkitsas Vasileios obtained his university degree from the Electrical & Computer Engineering department of Aristotle University of Thessaloniki in April 2018. He completed his internship and since June 2018 he has been working as a research assistant in the Information Technologies Institute (ITI) of the Centre for Research and Technology Hellas (CERTH). His research interests include computer vision, machine learning and image & video processing. 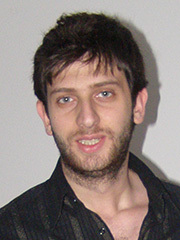 Vasileios Magoulianitis completed his studies at the University of Thessaly in Greece, in the School of Electrical and Computer Engineering. After graduation, he worked as intern computer vision developer in Irida Labs s.a. for six months, before joined in the Information Technologies Institute of Centre for Research and Technology Hellas in 2016, as a computer vision research assistant. His research interests lie in the areas of image processing, computer vision, deep learning and video coding. He is a student member in IEEE organization. 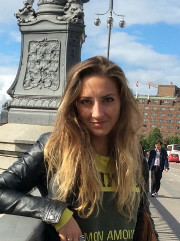 Katerina Nikolaidou received her diploma degree from the department of Computer and Telecommunication Engineering of the University of Thessaly. 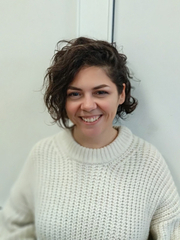 She has worked at the private sector and since June 2018, she has been working at the Information Technologies Institute (ITI) which belongs to the Center for Research and Technology Hellas (CERTH) as a research assistant. I obtained my diploma from the Electrical and Computer Engineering department of Aristotle University of Thessaloniki in 2015. From January 2017 to February 2018,I worked in Noriker Power LTD in United Kingdom as project engineer, participating in the construction of multiple battery storage sites and more specifically in the developing of real time control system. Previously, I worked as an intern in Tencool LTD for 3 months and during my studies as a telephone assistant in OTE. I have been working as a research assistant in ITI since March 2018. I received the Diploma in Electrical and Computer Engineering from Democritus University of Thrace in November 2015. Ataloglou Dimitrios received his Diploma in Electrical and Computer Engineering from the Faculty of Engineering of Aristotle University of Thessaloniki in April 2014. He subsequently attended the postgraduate programme in Medical Informatics at the department of Medicine of the same university. His diploma thesis deals with the automatic segmentation of the hippocampus from magnetic resonance images (MRI) of the brain using convolutional neural networks (CNNs). In May 2017, he started working as a research assistant at the Information Technologies Institute (ITI) of the Center for Research and Technological Development (CERTH). His research interests include image processing, deep machine learning and biomedical applications. Christos Avgerinos received his bachelor degree from the Department of Applied Informatics, University of Macedonia in February 2013. In September 2015 he received his Master’s Degree in Digital Media from the Aristotle University of Thessaloniki. Since January 2017 he works as a research assistant at the Information Technologies Institute (ITI) of the Centre for Research and Technological Development (CERTH). His research interests are in the areas of computer vision, computational intelligence, image analysis and deep learning. Diploma in Electrical and Computer Engineering (2016). Christos Chatzikonstantinou received his diploma from the Department of Electrical and Computer Engineering of Aristotle University of Thessaloniki in July 2016. 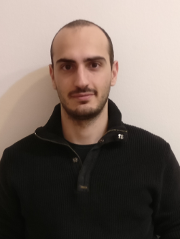 Since February 2018, he has been working as a research assistant at Informatics and Telematics Institute (ITI) of the Centre for Research and Technology Hellas (CERTH). His research interests include machine learning and signal processing. Kyriaki Christaki received her Diploma in Electrical and Computer Engineering from the Aristotle University of Thessaloniki (A.U.Th.) in April 2013. She has worked for 2 years in the private sector as a software engineer. Since December 2017, she works as a research assistant at the Informatics and Telematics Institute (ITI) of the Centre of Research and Technology Hellas (CERTH). Her current research interests include Software Design, 3D Graphics and Virtual Reality applications. Manos Christakis graduated as an Electrical and Computer Engineer from the Aristotle University of Thessaloniki (A.U.Th) in July 2016. He is mainly interested in Digital Signal and Image Processing and Telecommunications. Received his BSc in IT Engineering from Alexander TEI and his MSc in Digital Media and Machine Learning from Aristotle University of Thessaloniki. Interested in computational intelligence, computer vision, difficult algorithms and all things moving. 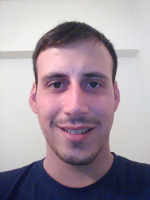 Konstantinos Gkountakos is currently working as a Technology Research Assistant in CERTH (Center for Research and Technology Hellas). He has a working experience in developing .NET applications (SIGMASOFT S.A , 2015-2016). He holds a Bsc’s degree in Computer Science (University of Ioannina, 2013), as well as a Msc’s degree in Web Intelligence (Alexander Technological Educational Institute Thessalonikis, 2016). His research interests include image/video processing. Athina graduated from the Informatics Department of Aristotle University of Thessaloniki in 2010 and completed the Master’s Program in Computer Science at the same department in 2012. Her research interests include human-computer interaction (HCI), user experience design (UX), computer games design and sensorimotor learning. She works as a research assistant in the Informatics and Telematics Institute of the Centre for Research and Technology Hellas since July 2016. Konstantinos Karageorgos received his Diploma in Electrical and Computer Engineering from the Aristotle University of Thessaloniki (A.U.Th.) on December 2015. His research interests include machine learning, computer vision and biomedical signal processing. Since September 2016 he works as a research assistant in the Information Technologies Institute (I.T.I) of the Centre for Research and Technology Hellas (CE.R.T.H.). Antonis Karakottas obtained his diploma from the Department of Electrical and Computer Engineering, Aristotle University of Thessaloniki in 2015. He has been working as a research assistant at ITI since July 2017. His main interests are in computer vision, image processing and Virtual Reality applications. Apostolos Konstantinou received the Bachelor degree in Computer Science from AUTH in 2011. He then received a Master degree in Information Systems from Auth in 2014. He is working at ITI-CERTH as a research assistant since February 2018. His research interests lie in the fields of computer vision, machine learning and artificial intelligence. Lazaros Lazaridis obtained his diploma from the department of Computer and Telecommunication Engineering of the University of Thessaly. His research interests include High Performance Computing across multicore systems, GPGPU computing and machine learning. Since September 2017, he works as a research assistant in the (ITI) Information Technologies Institute of the (CERTH) Centre for Research and Technological Development. Lelis Athanasios received his Diploma in Electrical and Computer Engineering from the Aristotle University of Thessaloniki in March 2017. Since June 2017, he has been working as a research assistant at the Information Technologies Institute (I.T.I.) of CERTH. His main research interests are Artificial Intelligence, Machine Learning and Pattern Recognition. 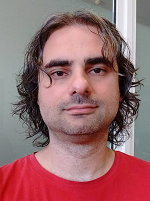 Athanasios Psaltis received his Master’s degree from Department of Information and Computing Sciences of Utrecht University (2013), and his Diploma degree from Department of Computer Engineering & Telecommunication Networks at the University of Thessaly (2011). His master’s thesis focuses on developing algorithms for sensing emotion in video. He has professionally worked as a game developer. His main research interests include computer graphics, computer vision, virtual reality, 3D reconstruction, affective computing and activity recognition. 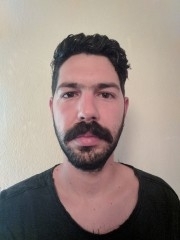 As of January 2015, he works as a research assistant in the Informatics and Telematics Institute of the Centre for Research and Technology – Hellas. Samaras Stamatios received his B.Sc. degree in Computer Science in 2014 and the M.Sc. degree in Digital Media and Machine Learning in 2016, both from Aristotle University of Thessaloniki, Greece. His research interests are in deep learning, computer vision and speech recognition. Saroglou Leonidas graduated from the department of Electrical and Computer Engineering of Aristotle University of Thessaloniki (A.U.Th.) in November 2017. Since February 2018, he has been working as a research assistant at the Information Technologies Institute (I.T.I.) of Centre for Technological Research and Technology Hellas (CERTH). His research interests are 3D computer vision, digital image processing, real time 3D reconstruction, pattern recognition and machine learning. Panagiotis Stalidis has worked on the private sector since 2008 as a systems administrator and a software and web applications developer. He received his MSc degree in Intelligent Internet Application in 2015. Since 2016, he has been working as a research assistant with CERTH. His research interests include natural language processing, image processing and deep spatio-temporal prediction systems. Kiriakos Stefanidis received his degree in computer science from the Department of Informatics of Aristotle University of Thessaloniki (AUTh), Greece, in 2011. His interests include: software design & development, machine learning, computational intelligence, and information retrieval. Vladimiros Sterzentsenko received his diploma in Electrical and Computer Engineering from the Aristotle University of Thessaloniki (A.U.Th.) on November 2017. His research interests include machine learning, pattern recognition , computer vision and image processing. Complex network analysis, investigating correlations and causal relations among time series, information extraction from the web, machine learning. 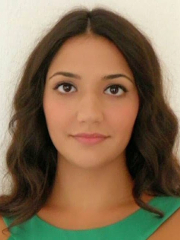 Kassiani Zafirouli received her diploma in Electrical and Computer Engineering from Aristotle University of Thessaloniki (A.U.Th) on July 2017. Her research interests include artificial intelligent, machine learning, computer vision and digital signal processing. Since January 2018 she works at Information Technologies Institute (I.T.I) of the Centre for Research and Technology Hellas (CE.R.T.H.) as a research assistant. Irene Keremidou received the Bachelor of Science in International Political and Economic Relations in the Black Sea Area from Democritus University of Thrace and the Master of Science (MSc) in International Financial Studies from Athens University of Economics and Business. She has worked as a research associate in the Center for Security Studies (ΚΕΜΕΑ – Ministry of Interior) and as a Scientific Associate in the Ministry of Infrastructures, Transportations and Networks. 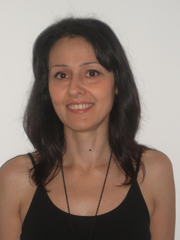 Olga Tsakalidou is working at the Informatics and Telematics Institute of the Centre for Research and Technology, Hellas since 2000. She has worked at the Department of Education and Training of the Prefecture of Thessaloniki (1993), in the Marketing Department of a cosmetic and parafarmaceutical products company (1994-1995), in the Customer Service department of a Courier and Logistics company (1996-1999).